5 Crazy Real Life WWII Soldiers Who Make Rambo Look Like My Mother!! The mood of war is one of frustration, chagrin, and uncertainty. Some choose to fight on to the bitter end, even snatching victory from seemingly hopeless situations. Such was the case in these five epic one-man rampages in the history of war. 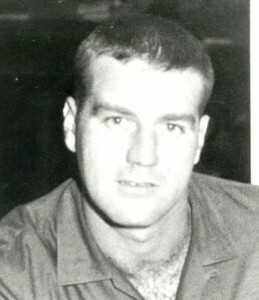 In 1966, Sgt. Robinson and his men were in an intense firefight with the Viet Cong. Even while bullets whizzed past him, Robinson moved through his men and gave them hope that they would make it out alive. As Robinson looked around, he noticed enemy snipers positioned in trees all around them, and they were inflicting heavy casualties. 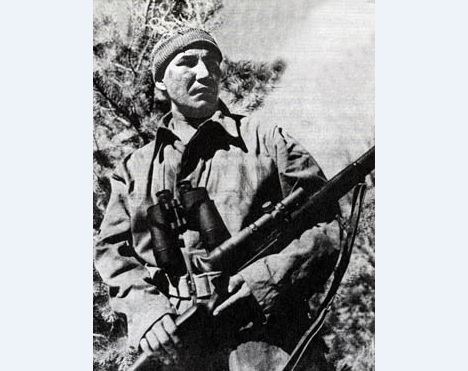 Once Robinson saw which sniper was picking off most of his men, he retrieved an M79 40mm grenade launcher – it was nicknamed “Thumper” and “Bloop Tube “ – and he fired a grenade into the tree which killed the sniper. He saw that a medic had been hit while administering aid to another wounded soldier, so he got out from behind cover and ran through a storm of enemy fire to reach them; he grabbed both men and dragged them back to safety, where he gave them first aid. As the fighting raged on, Robinson would be running through the battlefield, picking up any ammo and weapons he could find, bringing them back to the able-bodied soldiers for re-distribution. When he wasn’t out collecting things he would be fighting and helping to eliminate this major threat. Robinson once again saw a wounded man and he leaped out from his position to help him, making his way through enemy fire. While he made his way there, he was hit by enemy rounds in the leg and shoulder. Despite this, he grabbed and dragged his comrades to safety where he once again administered first aid to them and himself. He then spotted an enemy machinegun that was inflicting heavy casualties. With all his rifle ammo gone he grabbed two grenades and began charging at the enemy. He was hit again in his leg by an enemy tracer round which caught his clothes on fire. After ripping off the piece of clothing that was ablaze, he staggered towards the enemy which drew all the enemy fire from his men; he was now in grenade throwing range. After he sustained two more chest wounds he finally threw his grenades and took out the enemy position, he then fell and died where he fell. He was awarded the Medal of Honor posthumously. During World War II, the Régiment de la Chaudière was nearing the city of Zwolle, which was held by a large German force. The commanding officer asked for two men to go recon the city before their artillery began firing. Two men by the names of Willie Arseneault and Leo Major stepped forward and accepted the task at hand. So the city could be spared, they decided to take the town on their own, though they were only to do reconnaissance and try and link up with the Dutch Resistance. Around midnight that night Arseneault was gunned down by the Germans after accidently giving his position away, enraged by this Leo killed two of the Germans but the rest fled in a vehicle. He would continue his mission alone; he made his way into Zwolle near Sassenport and noticed a staff car. He grabbed the driver from the car and pulled him into the bar where a German officer was having a drink. He took the officer’s gun and learned he could speak French, so Leo told him that at 6:00 A.M. the Canadian artillery would be raining down on them, it would cause casualties to both Germans and civilians. He handed the officer his gun back in a sign of good faith and left the bar. 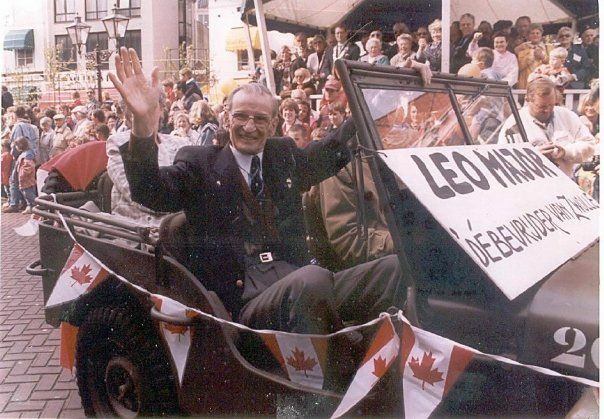 Leo began running through the streets, lobbing grenades, firing his gun and just making so much noise that the Germans began to believe the entire Canadian army was flooding into the city. Even while doing this he managed to capture German soldiers; he would then take them to the French-Canadian troops that were waiting just outside the town. Once he was done transferring the troops he would run back into town and continue his assault. When he eventually got tired he would break into a home to rest; he did this four times. Eventually, he discovered the Gestapo HQ and torched it; he later stumbled across the SS HQ, where he had to fight for his life against eight ranking Nazis. He finally killed four of them, but the other four escaped. He then noticed that two of the SS that he had killed were dressed as resistance fighters. At 4:30 A.M, Leo found out that he had actually caused the Germans to retreat, he alone had liberated Zwolle, and his mission to contact the resistance was also completed. The city of Zwolle was now free of German occupation. He was later told that the Germans had fled to the river and even more importantly, the shelling of the city would not happen, and his comrades would enter the city unmolested. Major went back and took Arseneault back to the Van Gerner farm until the regimental reinforcements would retrieve him. Leo returned to camp at 9:00 A.M., and for his brave and selfless action, he was given the Distinguished Conduct Medal.